Well, it could be that I am suffering from the Peter Pan Syndrome – the refusal to grow old. It could also be that I am looking for more sense in life. May be I am looking for more simplicity. May be I am simply getting old, well I am not in my teens or teens or thirties anymore. And that’s a good thing, except that it takes me longer to recover; other than that I am not complaining about age. So, what was this week all about? We came here to relax physically, mentally and spiritually – dude, this sounds like all esoteric, you may think. But for me it was just what the doctor ordered. 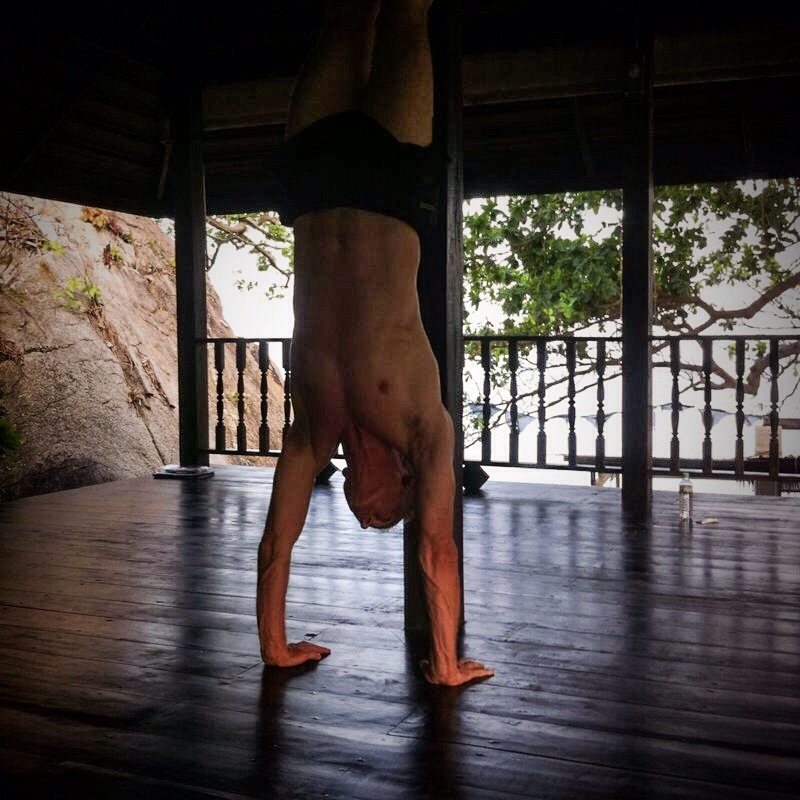 The meditation, and morning and evening yoga practices by different teachers, trying different styles were great. Whether it is actual deliberate meditation or meditation through a guided yoga practice. Your mind is occupied with something rather mundane and your muscles work with your balance, while your sub-conscious can sort itself out. I do a lot of subconscious thinking while practicing yoga. And in the end, there is also a sense of accomplishment. The fact, that I am relaxed, as I mentioned earlier, I gauge by the sorts of photos I take. We visited this little farm by the roadside today where as it turns out two brothers were processing tobacco – not “whacky tobacci”. 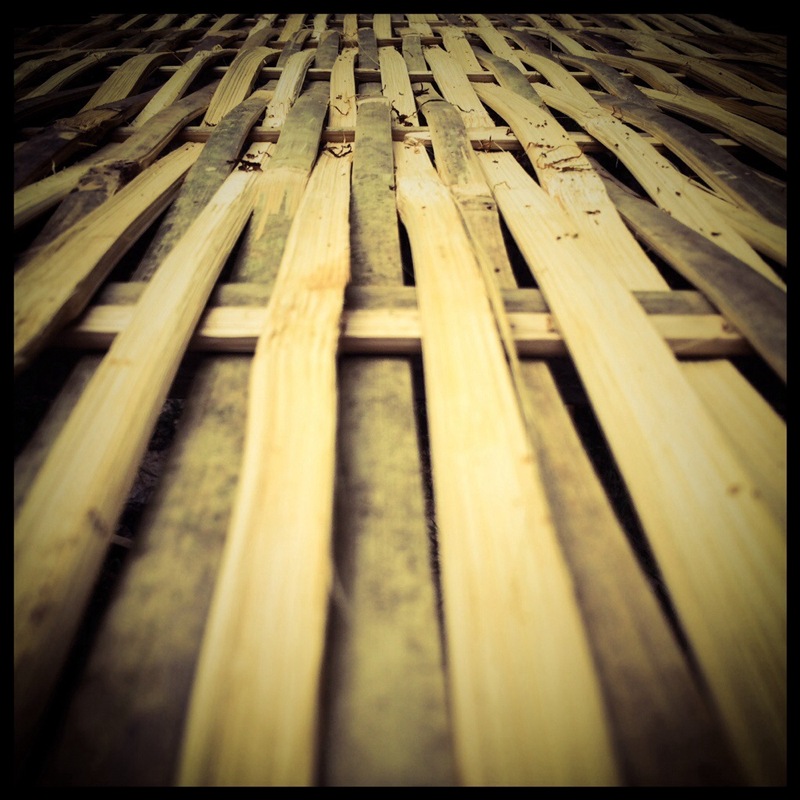 And the stuff they had for processing was rather simple, but inspired me to take a few images. 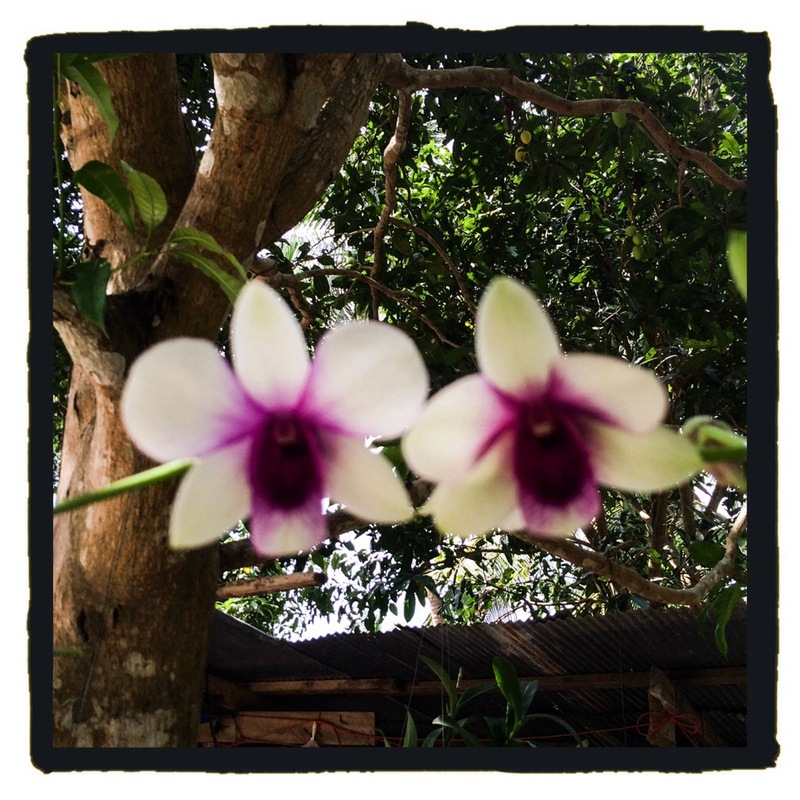 The image above I took as we were leaving when I saw these beautiful orchids with the lush tree foliage as a backdrop. 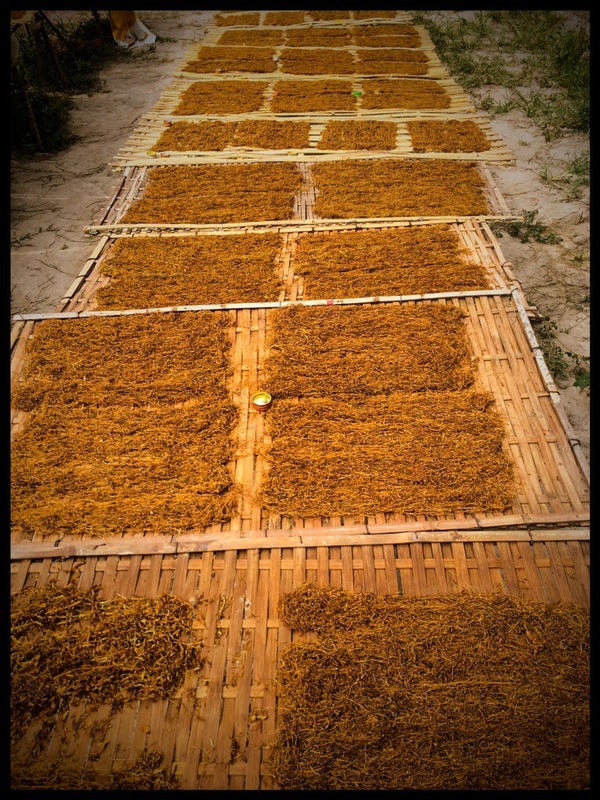 The tobacco was cut and laid out to dry. 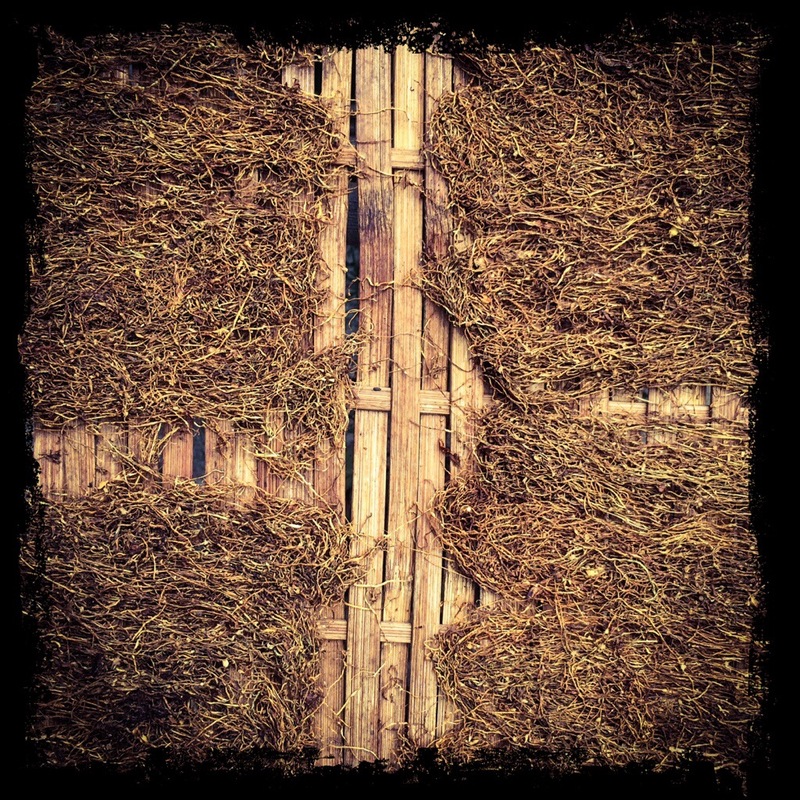 The racks that the tobacco was set on were made from split and weaved bamboo. For such a relatively small field they had quite the harvest. Obviously, I am not an expert on tobacco harvesting, but I appreciate when people grow and make their own stuff. OK, this shall close this entry. I will post one final entry tomorrow, before we leave this beautiful place in Ko Samui, to return back to the hustle and bustle of Bangkok. Stay sharp with a relaxed mind. This entry was posted in Leisure, Photos, Travel, Updates by globalnomads2010. Bookmark the permalink.